Kelsey, as she was know by many, was a beautiful cream. She had the most beautiful face that came from her Grandfather, Am Ch Lyca Dime Store Novel. 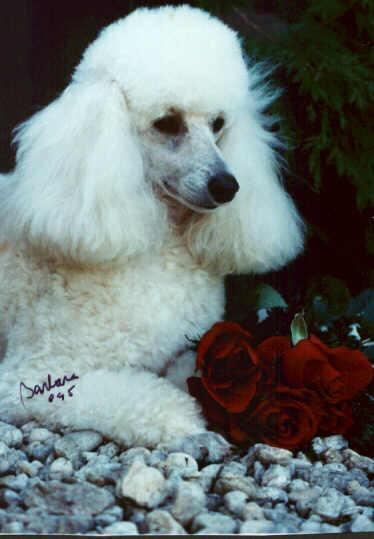 She got her gentleness from her sire, White Boy, Am Ch Lyca Novel Connection. She used to love going out for rides in the the car, when left alone for to long, she would put her paws on the steering wheel and beep the horn. She is sadly missed.